Regular coffee consumption has been shown to improve insulin sensitivity and decrease the risk of type 2 diabetes. And now, according to a new study conducted by researchers at the Dana-Farber Cancer Institute, regular coffee consumption may also help prevent the recurrence of colon cancer and improve the chances of a cure. The study followed 953 patients from the Institute who were undergoing chemotherapy as a result of a stage three colon cancer diagnosis. During the treatments and six months after chemotherapy, patients reported on their food consumption habits; this included coffee (caffeinated and decaffeinated) and non-herbal tea intake. Researchers evaluated the effects these beverages had on cancer recurrence and death. Their findings revealed that coffee consumption had significant beneficial effects. Patients who consumed four cups of coffee per day, compared to those who abstained from coffee, had a 42% reduced risk of colon cancer recurrence and were more likely to survive the disease. 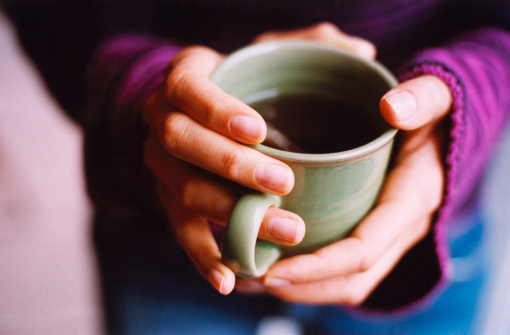 There were no improvements or beneficial effects for patients who consumed non-herbal teas and decaffeinated coffee. “Drinking coffee daily may improve survival in colon cancer patients,” ScienceDaily web site, August 17, 2015; www.sciencedaily.com/releases/2015/08/150817161201.htm. Guercio, B.J., et al., “Coffee Intake, Recurrence, and Mortality in Stage III Colon Cancer: Results from CALGB 89803 (Alliance),” Journal of Clinical Oncology 2015, doi: 10.1200/jco.2015.61.5062.